GARDNER - Ethel L. (Moore) Kendall, 96, of 64 High Street, died peacefully Sunday evening, July 15, 2018 in Wachusett Manor Nursing Home, with her family at her side. She was born in West Newton, MA on November 21, 1921, daughter of the late Burton W. and Helen (George ) Moore and graduated from Newton High School and Mt. Ida College. Ethel had worked as a secretary for her late husband, Atty. Nelson L. Kendall Jr, who died in 1976. 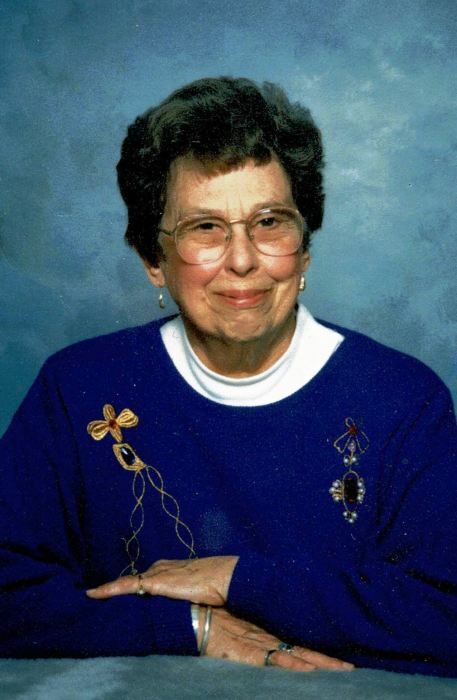 She was a longtime member of First Baptist Church in South Gardner, where she was a Sunday School teacher and held many positions over the years. Ethel was a longtime volunteer at Heywood Hospital and was a long time member of the Knowlton Foundation. She leaves four children, Scott W. Kendall and his wife Lynn of Winchendon, Ross Kendall and his wife Kathy of Burke, VA, Jay Kendall and his wife Sandra of Baldwinville and Jana Harrison and her husband Robert of Leominster; grandchildren, Caissie, Andrea, Samantha, Kendra, Joy, Robbie, Andrew, Kate, Scott, Maxwell and Megan; great grandchildren, Ruby, Maxwell, Addie, Owen, Tiana and Amberly, and two great great grandchildren, Zander and Jackson. A brother, Henry W. Moore and a sister, Bessie Roy, predeceased her. Funeral services will be held Tuesday, July 24, 2018 at 11 A.M. in First Baptist Church, 14 High Street, Gardner. Calling hours in Stone-Ladeau Funeral Home, 343 Central Street, Winchendon are Monday, July 23, 2018 from 5 to 7 P.M..
Burial will be in Green Bower Cemetery at a later date.